This topic contains 0 replies, has 1 voice, and was last updated by Herr D 5 years, 7 months ago. Please feel free to add item-modifying tips here as replies. Hey, hey. 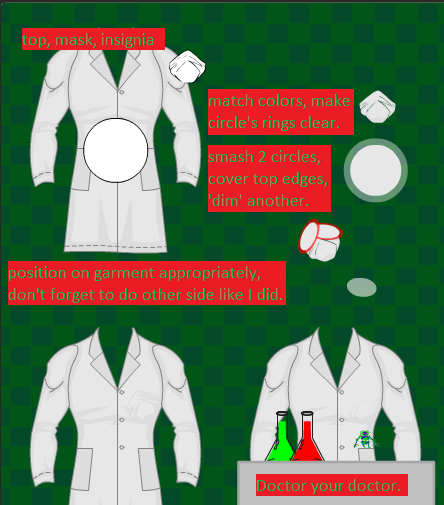 Someone asked for a lab coat modified for a female. This is one way. All you’ll need for some tops are some headgear and insignia–no sewing machine or anything.